- Log in to Warstorm everyday to get rewards. of the best gifts that you must get. - Complete the Emissary to the Elves campaign bundle at the shop to collect great rewards. - Try to deflect invasions on your map to get silvers daily. - Complete achievements to get powerful T4 or T7 cards. - If you can't win a battle, collect more cards and customize your squads then try again. - To avoid your Daily Challenge getting harder, just complete the first 2 challenge then stop. Do not complete the third challenge. This way you will get easy sure shot silvers everyday. - Fight every friend or allies that you have to get more silvers. It doesn't matter if you lose 3 consecutive times, you will still net a good amount of silvers. Fight every one of them 3 times in a row. - At the quick match, refrain from using 3 to 4 squads unless you are very confident. - At the battle window, you can increase the animation speed or pause the battle from the speed bar located below the window. 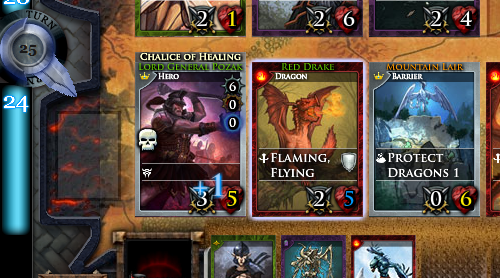 To determine what tier is your card, take note of the title color of your card. T1 simply means Tier 1 and so on. Now what about the colors? OK let's say I have here two cards with the same title name but with different colors. The first card is a white one and second card is purple one. Assuming the first card which is a common card has a "Ready" of 6, the second card which is an epic card will have a "Ready" of 4. - Ignore the novice packs. - At early levels, only buy elf faction packs with 5000 silvers until you have at least 4 strong elf squads . It will net you better cards this way and elf faction will always be a useful squad even at higher levels. "archery" card effect is an Archer. The unit or card must have an Archer written below the card title or card name. This way, you can benefits from Treehold's effects that gives Protect 2 and Immune to friendly Archers. and 2 Attack, look for it's higher tier if it is available.